Your teenager has their first job - How much should I get involved as a parent? I'm GRATEFUL for my amazing father, Thomas Lorentz! 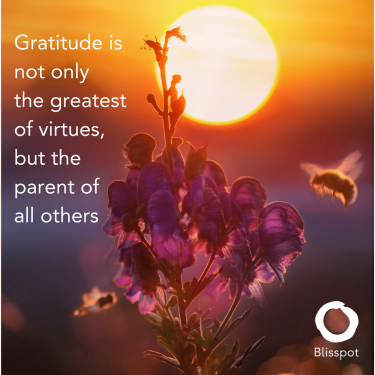 My dad taught me how to overcome difficult times by staying positive and being grateful. Deborah Fairfull Dawn what a beautiful article and your parents sound amazing, so inspirational. I love gratitude too, it make such a difference to consciously choose where you focus your thoughts. I focus on five things I am grateful for every evening when I snuggle up... moreDawn what a beautiful article and your parents sound amazing, so inspirational. I love gratitude too, it make such a difference to consciously choose where you focus your thoughts. I focus on five things I am grateful for every evening when I snuggle up in bed at night. Deborah Fairfull What are you grateful for today? I am just personally grateful to live in this beautiful world. This week we have been at the Commonwealth Games and the Gold Coast, Australia is beyond awesome. The weather, the divine friendly people. There is magic... moreWhat are you grateful for today? I am just personally grateful to live in this beautiful world. This week we have been at the Commonwealth Games and the Gold Coast, Australia is beyond awesome. The weather, the divine friendly people. There is magic everywhere when we tune into it. What are you grateful for today? I am just personally grateful to live in this beautiful world. This week we have been at the Commonwealth Games and the Gold Coast, Australia is beyond awesome. The weather, the divine friendly people. There is magic... moreWhat are you grateful for today? I am just personally grateful to live in this beautiful world. This week we have been at the Commonwealth Games and the Gold Coast, Australia is beyond awesome. The weather, the divine friendly people. There is magic everywhere when we tune into it.